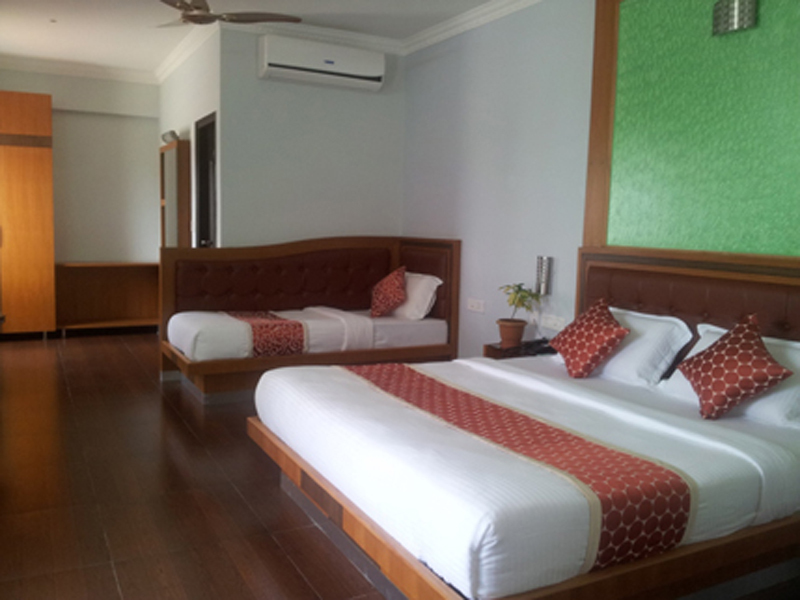 Akshaya Palace inn offers Three Bed Room Premium A/C Non Air-conditioned guest rooms. A lavish accommodation, the Three Bed Room Premium A/C comes with wooden furnishing and exudes a rustic feel. With a queen-size bed at your disposal coupled with all modern amenities.